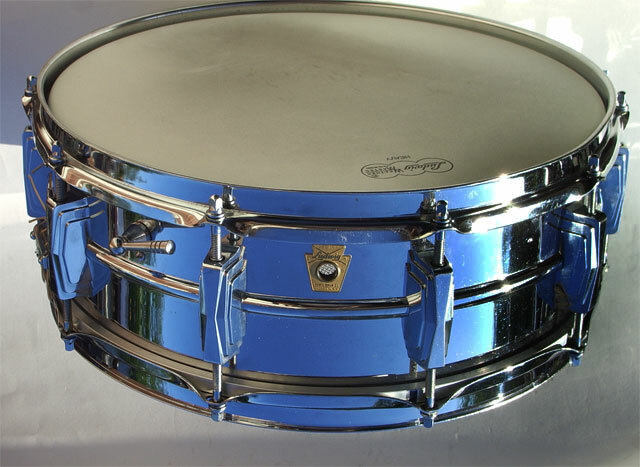 Born in 1958 as the Ludwig Super snaredrum. 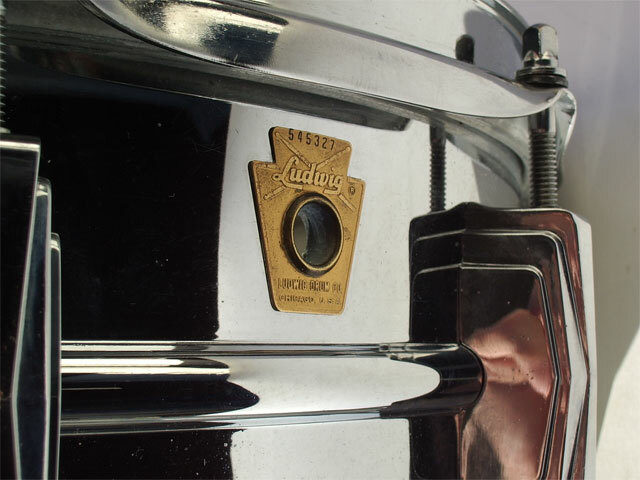 The first couple of years they had brass shells, then the name changed to Supraphonic and the shell material changed to the Ludalloy, Ludwig aluminum alloy. 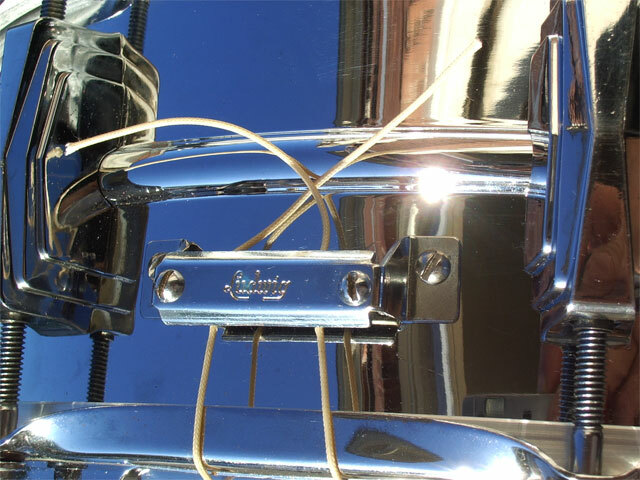 "A shiny metal drum" as Hal Blaine referred to his Supra on Be My Baby and DaDooRonRon plus 150 other top ten hits in the sixties and seventies. 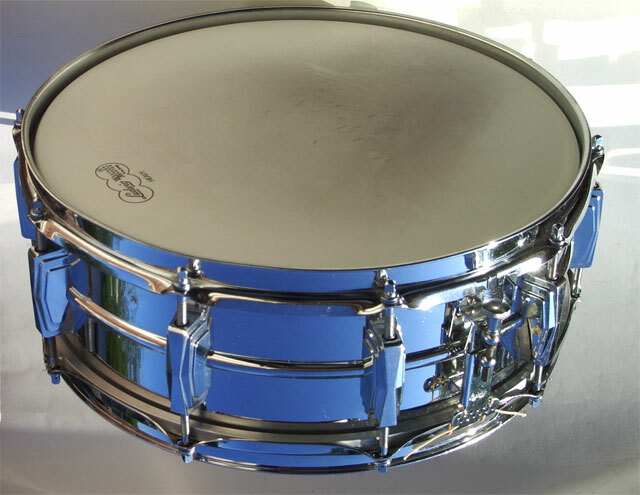 This is a shiny metal drum, clean and unlike most of the Supraphonics here's one with hardly any pitting at all. 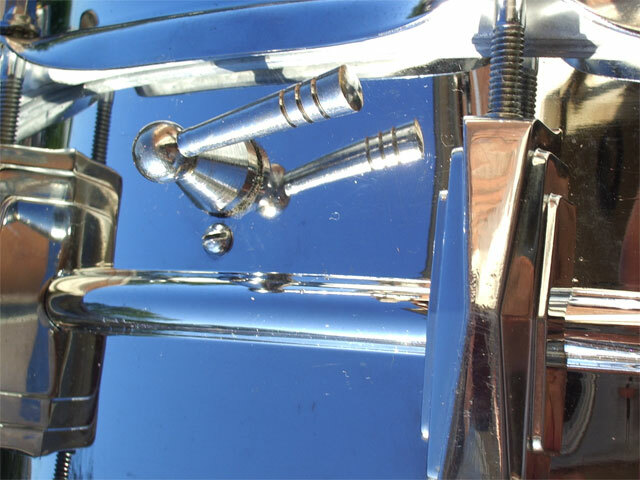 The only flaw on this drum is a small dent in the panel next to the strainer. 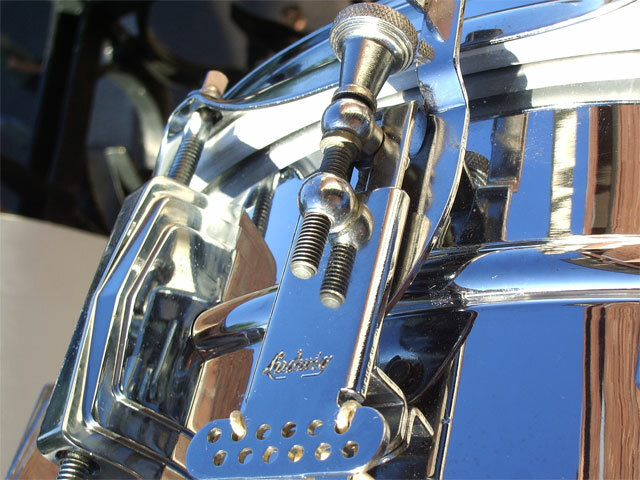 New heads and Purecussion snarewires.